I know this prediction seems completely unfeasible, but when you think about the practicality of it, should they get the safety part down, I think this will happen in the next 5-10 years. In fact, this year in Helsinki they actually have the world’s first self-driving bus, so it’s only a matter of time until education catches on. This is actually getting closer and closer to being a reality. With colleges like Rice’s Openstax and MIT’s Open Courseware now entering the fray, I think K-12 will continue to travel down this path sooner rather than later. The truth is, even if there was an app that could predict what kids were doing online it wouldn’t matter. As I wrote in this post (Everything is Social Media) last spring, technically, everything that kids do online can be social. From making comments on Amazon to chatting with friends on XBox, social media is here to stay and it doesn’t really matter if we can predict the next big platform or not. Prediction – In a district far, far away….someone will develop Star Wars school. Wishful thinking on my part. Learn we must. Create we will. While I was right about the fact that social media would play a large role in the election, I was wrong about the tool. Periscope and Facebook Live did play a role in the messages online, but in the end, it was the president-elect’s use of twitter to sway the masses that ended up tipping the tide in his favor. Whether you like him or not, in an age where “who ever says it first must be right”, the reality TV star played that card masterfully to craft his message and sway people into his camp. Now comes the hard part for him….actually being the president. Prediction – The “Undead” learning movement will happen! As much as I would have loved a protest of broken #2 pencils being tweeted, snapped, and instagrammed out, this movement never quite took off. That said, more and more schools (like these in San Diego) are seeing the damage of too much standardized testing and thus reducing it from their daily practices. With the launch of Google Expeditions spreading like wild fire and the addition of Nearpod’s VR box, we are seeing more and more of these cardboard modeled phone-based VR goggles. Zapbox even makes a headset that does mixed reality. I’m a sucker for cool kickerstarters! I’m in the middle of finishing my 6th book in the 6-book Mobile Learning Mindset series, so my time is very short here. That said, I have some early leads and a couple of ideas that might help me self-publish my first children’s book in 2017. Here’s hoping! So there you have it. Some winners. Some losers. Some that remain to be seen. Now comes the hard chore of researching trends from 2016 and attempting to gather them into some sort of coherent list for 2017. Come back in January to see what crazy ideas come to fruition then and place your bets on which I’ll get right or…more than likely….wrong. Making predictions can be a messy game. I mean not all of us can have a Miss Cleo in our back pocket for getting things right. Part of why I do these predictions is to get me to think about the future direction of educational technology, including some likely absurd ideas. The other part is what I’m doing right now; reflecting on the year that has been and how many of these actually came true. In looking at 2014’s review, I hit on a few, missed on a few (giving up Google for lent? C’mon!) and sort of in between on others. In January of this year, I made a set of ten more predictions that I thought were sure to go wrong in 2015 (remember, “bold” is in the title). Now for the moment of truth, let’s see how I did. I’ve seen more sessions at conferences around the idea of automated or “smart” classrooms, but the technology is still a far ways off. I think as beacon technology becomes more ubiquitous and more and more devices enter schools, this one will become a reality. I do think with the recent debates over student privacy, we will have to go through some legal loopholes before a truly automated classroom becomes a reality. I am actually still in a state of shock that Texas would go a different direction, but with the exception of a few hold over assessments, we essentially dropped our contract with Pearson. While I’m still not sure that replacement system ETS is much better, one thing is for certain, those people looking for jobs scoring 4th grade writing tests on Craigslist are surely going to be disappointed. Lighting up the world (and my shirt) with sound! I made some jokes about the soon-to-be-formed P.A.W. (“People Against Wearables”) but in reality wearables came on like gang-busters in 2015, especially early in the year. After the Apple Watch hit the market, it became commonplace to see people checking their wrists for cute emoji-based text messages. While I heard some rumors of a school in Australia going 1:1 with Apple Watches (for health data research), I think the fervor over wearables, coupled with the afore mentioned data privacy has slowed down the wearable market. It still didn’t stop me from wearing this cool Matrix-like light up shirt at iPadpaloozaSouthTx this past summer! So we haven’t entered cyborg-level yet, but I can tell you this partially came true this week when my dad went in to replace the battery on his heart defibrillator. That’s close right? 5. This year’s iPadpalooza APPmazing Race will bend the mind. Outcome: Not quite, but it was a blast! We ramped up the challenges to over 30 in the 3 days of iPadpalooza and dozens of teams rose to the challenge. We had people doing “jumper” pics into swimming pools, putting bunny ears on Felix Jacomino, and tearing up the stage at lunch-time karaoke. The winning team each walked away with their own Apple Watch! All of this sets up for a crazy 2016 race as we continue to raise the bar and up the ante. Check out the highlight video here and be sure to register now as the early bird rates are going on through the holidays! We did see the price of 3D printers continue to drop and even got introduced to these snazzy $99 3D doodler pens, they are not quite common place yet. I do think in several years we will be at a place where we can truly “download” the parts we need to fix something, but for now I’ll just patiently wait for hours as this machine prints out a mini-bust of my own head. This blog post made the rounds for the past year and half as a list of things every teachers should try to do in their classroom. Many tried it, but I’ve yet to find one person who completed all of them. Rather than rest on my laurels, I decided to up the game and create this “36 Weeks of Innovation” post for teachers to try one thing in their classroom every week. As of this writing, I know of many that have done some, but none that have done them all. 9. Someone will complete the Billy Madison #Student4aDay Challenge….maybe me? I had grand plans this past year to follow up my #Student4aDay challenge in 2014 with a gauntlet of going through every grade level as a student. While I’m not dismissing this one for myself, I did see more and more people trying the #Student4aDay challenge in their own schools. I think it’s one of the best ways to really experience what kids go through on a daily basis as well as seeing how administrative decisions (like 1:1 technology) impact the classroom. This was more of a way to blackmail myself then anything, but after searching for a publishing house in early 2015, ISTE Publishing came knocking on my virtual door. I am excited to announce that I will be creating a 6-book series titled “Mobile Learning Mindset” in 2016 & 2017. Each book will focus on a different area of the school environment. The first two books (focusing on district and campus leadership) will hit shelves in early March of 2016. The last four books will dive into mobile learning in the classroom, professional learning, technical support and the role of parents and community during a mobile learning initiative. While I’m extremely honored and blessed to be a published author, I can tell you that it is NOTHING like blog writing. I’m hopeful that these books will go a long way in helping schools on their own mobile learning journey and can’t wait to see them in print (both real print and virtual). And that puts a bow on 2015. All in all, I was surprised by some of the results and not so much about others. I’m now going to start brainstorming for 2016 and will publish those after the New Year. What did you think about these predictions? What predictions do you have for 2016? Comment below, and if I use it in my next post (as a “guest prediction”) I’ll give you full credit! This is the second year in a row I’ve made some predictions about the upcoming calendar year. (Here are my 2013 prediction reviews) I do this for a couple of reasons. One is to stimulate my own thinking on what’s possible in education with technology. The other reason is to force myself to try something new in the upcoming year. These predictions are in fact “bold” and somewhat unlikely, but with the pace of change in technology you never know what is possible. Let’s take a look and see how my predictions turned out. Open to the world in 2015! In the end of 2013, there was a lot of fervor around the quality of learning in Massive Open Online Courses (MOOCs) and the amount of students that actually complete the course. I actually took a MOOC (on the Walking Dead of course) last year just to see what it was like. Like many of my 5000+ classmates, I didn’t finish the course. That said, I don’t hear quite as much fuss about these as I did a year ago so there seems to be a little bit of leveling in the Ed Tech community about these courses. 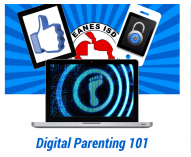 This next year, I’m going to step it up and actually offer my own MOOC on Digital Parenting. (link here if you’d like to sign-up for free) I have some predictions for how that will go, but we’ll save that for my 2015 prediction post. This one was really trying (and hoping) to step out there and change the way we think about textbooks in schools. The internet is our new textbook, but that is going to take time to change that traditional mindset in schools. This year we’ll be working with our teachers to build their own “textbook” and I’m hoping that’s the tipping point to ridding ourselves of the overpriced “Big 3” textbook providers out there. This prediction is not really that bold in retrospect. Kids have been social media platform hoping for the better part of 3 years now thanks to us “old people” getting on Facebook. Last year it was SnapChat and Instagram. This year it was YikYak and Whisper. Next year? Who knows. We’ve had a personal experience with YikYak here in our district this year and I’m hopeful that wherever they go next, it will at least be for a positive experience. I think with expansion of uses of Augmented Reality in learning (from NASA’s Mars Rover app to teacher fave Aurasma), this is an area of significant growth in education. And why not? With augmented reality you could take those boring textbook that has yet left the classroom and put a layer of augmented reality on top of it to make it interactive! Someone did almost shoot me in the streets of Austin. Note to self: Next time you dress up like a zombie, make sure you aren’t in an open-carry state like Texas. After being a #Student4aDay a few weeks ago, I really think we need to rethink what we are doing to students. I know what adults will say – “I sat in those desks when I went to school, so why can’t they?”. The truth of the matter is, these things are just a notch above being a torture device. It really makes you think…where are the most comfortable chairs in your district? Who do they belong to? I’m hopeful this will change in my lifetime, or at least before my kids hit middle school. Unlike my giving up email for lent experiment in 2013, I only lasted 3 days without a search engine of any type. I ended up asking people for help on social media or calling people whenever I had a question I couldn’t find the answer too. (essentially outsourcing my Google search) Realizing I couldn’t lean on my friends and colleagues for 40 days (and have them remain friends and colleagues) I gave it up after the third day. So that wraps up 2014. Some interesting outcomes there and I already have a few in mind for 2015. What are some things you predict for the next year? Comment below and if I use it I’ll give you full credit!